Unlike the women who are going to get married, most of the men will hire their suits, which really is practical. Not too many men would have much use for the type of attire they will need for their wedding. Even so, there is some planning that needs to go into hiring suits for the wedding. Let’s have a closer look at men’s wedding fashion. The groom is going to have to work with the bride when choosing the right suits. The bride needs to determine the colors of her side of the wedding party. Then the suits need to be chosen to work well with this. This also helps to narrow down some of the confusion that can come when all the guys get together for their suit fittings. A decision has already been made as to the color and style by the bride and groom. This can create a bit of a challenge as everyone has their own time commitments. When you are asking someone to be part of your wedding party you will have to ensure that they will be able to dedicate the time necessary for their fittings. When you use a quality store that provides for hire suits, this should not take up to much time. It usually means one visit for the measurements, then a second visit to see that the suits fit perfectly. If not, then it may require a third fitting. There will also have to be some decisions made as to what accessories are needed. This should be something that everyone is in agreement with as you want the men’s side of the wedding party all to be consistent in the way they look. For example, one of the men shouldn’t be wearing a hat unless the rest are. 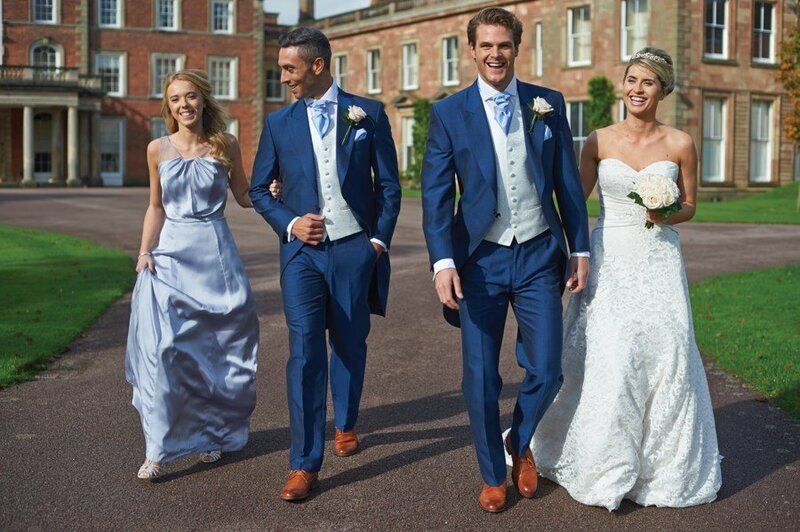 Suits for hire certainly does make the wedding planning for attire much simpler.